Toyota's new Fortuner delivers seven-seater SUV style and comfort with genuine off-road performance at value pricing from under $50,000* for the entry level model. Fortuner has a strong Australian DNA with its unique body, wiring and key underpinnings having been designed or extensively developed and evaluated by local engineers. 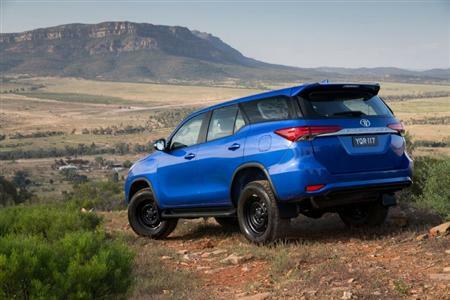 The rugged frame, high-torque engine, all-coil suspension and strong upper body have been proven in Australia under the world's toughest conditions - on tarmac and off the beaten track. In addition to its prodigious off-road ability, Fortuner delivers the compliant ride, interior space, convenient features and premium quality expected in a modern SUV. Toyota's executive director sales and marketing Tony Cramb said Fortuner is the largest single development programme ever undertaken by the company's local engineers. 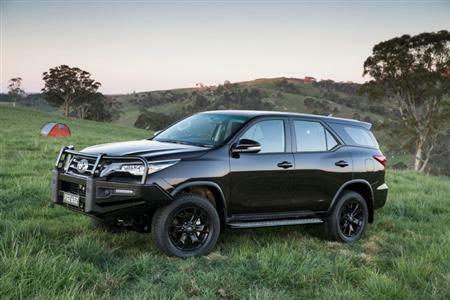 "If Fortuner could speak, it would have a strong Aussie accent as the most Australian car Toyota has ever imported to this country," Mr Cramb said. 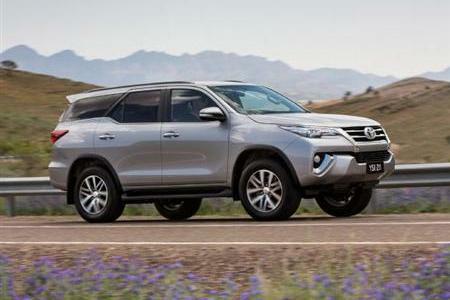 "Fortuner is the turbo-diesel alternative to the similar-size petrol-only Kluger and offers an affordable choice for those who aspire to own a LandCruiser," he said. "Fortuner is a chameleon, transforming seamlessly from a prestigious urban transporter to the most rugged of off-road explorers, ideal for any adventure. It's a Tardis too - spacious on the inside yet easy to manoeuvre through city traffic." Fortuner becomes Toyota's seventh SUV, joining RAV4, Kluger, FJ Cruiser and the LandCruiser trio of Prado, 70 Series and 200 Series wagons. Buyers are offered three grades - GX, GXL and Crusade - all powered by a high-torque 2.8-litre four-cylinder common-rail direct-injection turbo-diesel engine with a choice of six-speed manual or automatic transmissions. Maximum power is 130kW and peak torque is 450Nm for the automatic and 420Nm for the manual. Braked towing capacity is 3,000kg for the manual and 2,800kg for the auto. Fortuner's consumption rating is just 7.8 litres/100km for the manual, providing a theoretical range of more than 1,000km from the 80-litre fuel tank. The fuel consumption rating for the auto is 8.6 litres/100km. The GX grade, which is expected to account for just over half of Fortuner's sales, has a starting price of $47,990* for the manual and just $2,000 more for the auto - both below the important $50,000 threshold. Fortuner's impressive list of standard features includes air-conditioning, rear differential lock, touch-screen audio display with Toyota Link connected mobility (usage charges apply), cruise control, side steps and 17-inch steel wheels with all-terrain tyres. Toyota expects the maximum five-star safety rating as all variants are equipped with stability and active traction control, seven airbags, reversing camera, trailer sway control, hill-start assist control and rake-and-reach adjustments for the steering column. It includes three top-tether anchors and two ISOFIX child-seat mounts. Mr Cramb said Fortuner's high level of standard features and value pricing would enable it to compete for the first time in a section of the market attracting around 1,400 diesel sales a month. "Toyota expects to carve a solid chunk in that market, especially as the starting prices for several key competitors are well north of $50,000," he said. 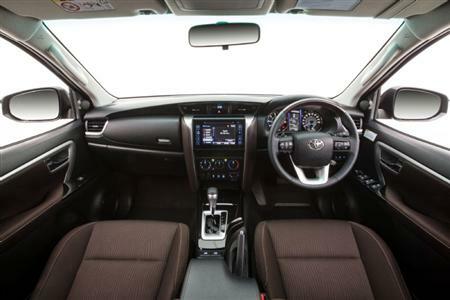 Fortuner's seven seats are arranged in a 2-3-2 configuration. The 60/40 split-fold second-row seat has a one-touch slide and tumble feature while the 50/50 third-row seats are stowable. Cargo capacity ranges from 200 litres to 1,080 litres when packed to the top of the seat backs. Standard equipment also includes durable fabric seat-coverings with contrast stitching, projector-style headlamps, LED tail-lamps, an air-conditioned cool box, Bluetooth® connectivity, six speakers, three 12V accessory sockets, audio and phone controls mounted on the steering wheel, eco and power drive modes and a multi-information display (MID) in the instrument cluster. Mid-range GXL gains alloy wheels, keyless smart entry and start, roof rails, reverse parking sensors, fog lamps, colour MID, privacy glass and downhill assist control. Manual versions have Toyota's innovative "intelligent" system that matches engine revolutions to transmission speed for smooth shifting. Auto variants have paddle shifters. Prices start at $52,990*. Top-of-the range Crusade expands the luxury with a leather-accented interior (available in fawn or dark brown), satellite navigation, power tailgate, climate-control air-conditioning, bi-LED headlamps, 18-inch alloy wheels (including the spare), 220V socket and a power-operated driver's seat. It is priced from $59,990*. A comprehensive range of Toyota Genuine accessories is available including airbag-compatible bull bars and newly developed towbar and load distribution hitch. Development of accessories was undertaken in parallel with the vehicle and tested rigorously under local conditions - a level of integration unmatched by the aftermarket.